With billions of dollars spent every year on breast cancer research why do we have 50% more Breast Cancer cases now than we did in the 70s? An international award winning documentary called HUSH reports that certain breast cancer information is not being shared with women because it’s politically incorrect to do so. For instance; scientists have known for years that having children at a young age is protective against breast cancer. 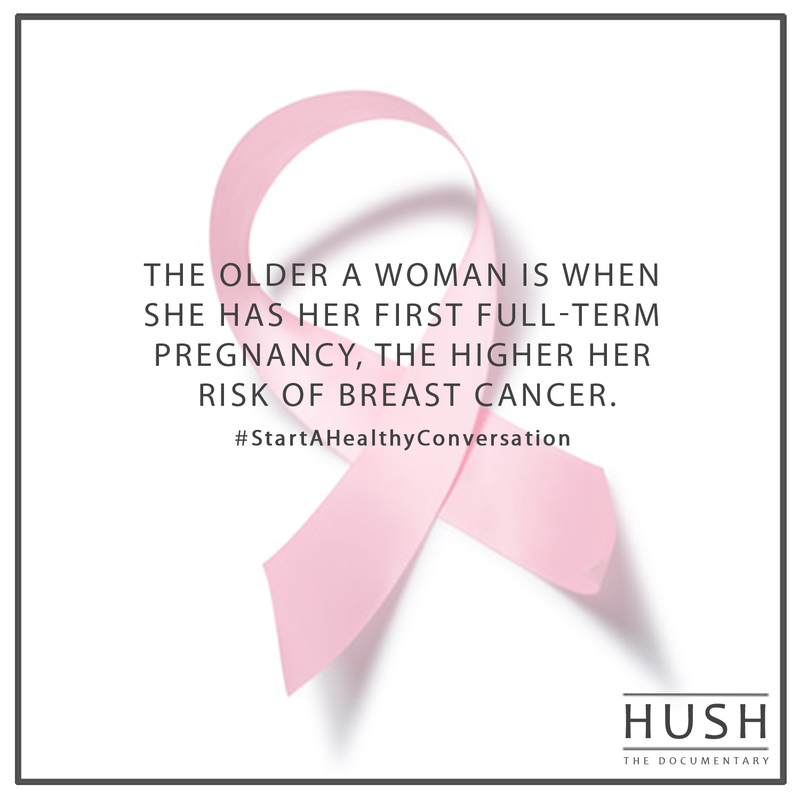 And the earlier you have a child the more protection there is; and conversely, your risk of breast cancer increases the later you have children or if you don’t have children at all. (No children seems to have about the same risk level as having a child at 30, having a child over 30 increases risk beyond that point) (see the NCI’s – Reproductive History Fact Sheet https://www.cancer.gov/…/ho…/reproductive-history-fact-sheet), But why is this biological fact something that almost never gets mentioned during ‘breast cancer awareness month’? Visit www.hushfilm.com to organize a screening or to watch the film.